Australia’s largest pineapple producer, Pinata Farms started with a single pineapple farm in Queensland, Australia in the 1960s. Today it is the only year-long supplier of fresh pineapples, a leading producer of summer and winter strawberries, and with joint venture partner, BerryWorld Group, produce specialty berries for BerryWorld Australia. 30MHz and its local partner in Australia, Royal Brinkman, have been working closely with Pinata Farms since late September, 2018. Pinata Farms deploys 30MHz’s pointed micro-climate sensors, substrate moisture sensors and 3G gateways in its Applethorpe and Wamuran farm locations. With the 30MHz agri-data platform, Pinata Farms is able to monitor and optimise irrigation, and collaborate with berry growers across the globe, at BerryWorld in the United Kingdom. Pinata Farms uses the EC and water content readings from the wireless sensors to appropriately adjust its drip irrigation system and nutrient dosing. 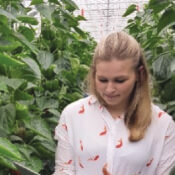 Through the ZENSIE platform’s collaboration features, growers at Pinata Farms can share dashboards and create groups with the growers at BerryWorld in the UK. This allows easy comparisons and contrasting of the various berry varieties across locations, and enables growers to create comments and ask questions in the dashboard, streamlining the exchange of information.